THE INSIDE SKINNY ON… Pure Reform!! 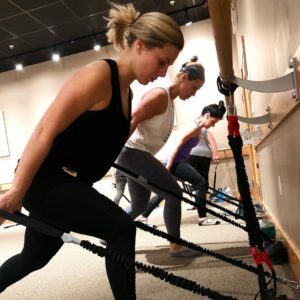 Pure Reform is a resistance-based class that utilizes tubes and sliders to mimic a Pilates reformer without the heavy equipment. It’s a total body workout that targets, shapes, and defines all major muscle groups using body weight! How is this class different from a classic Pure Barre barre class? 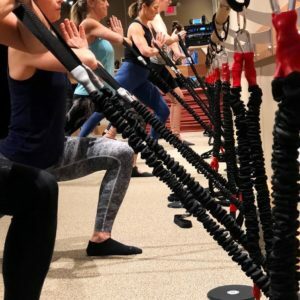 In Pure Reform, we use Pure Barre techniques, but work with different equipment that works muscles in a fun, new way! How many times a week is Pure Reform offered? What has the response been to the class? Our community absolutely loves the new class. A few clients who used to do reformer love this class even more. They enjoy being able to control their resistance and pace during class, and love the lengthening and calming energy they feel afterwards. Why would you recommend this class to someone? The core is a tough area for many to strengthen. Pure Reform is a great way to challenge the core and build muscle endurance! What is your personal favorite part about this class? The plank! I have a 19-month old child, and my core still isn’t back to where it was before I had a baby. Since starting Pure Reform, my range of movement has increased and my body already feels so much stronger. I have seen a huge difference in my core doing this class for only a couple of weeks. How long have you been a Pure Barre instructor? I’ve taught barre for 4 1/2 years! I was trained when I lived in Bend, Oregon and became the lead teacher there before relocating to the northeast.